More seeds to give away! I’m organizing! Or something like it, anyway…. If you live in Canada and would like any of the following seeds, please go to my CONTACT FORM and fill out your name, mailing address, and a list of the seeds you’re interested in. I’ll ship them out to you free of charge within the next few weeks. I’m so sorry, but I cannot mail seeds to anyone outside of Canada. As well, I have very limited quantities of some of these, so drop me a line right away for best selection. Although many of these are salad greens and vegetables, there are a few that you may need to research ahead of requesting – look for things such as hardiness zone, size, growth habit (some of these are spreaders and reseeders, so be warned!) etc.. If you have any questions, please don’t hesitate to ask. And, of course, even though I’ve made all attempts to store these properly, there is no guarantee that they will germinate and/or grow. But I think you should have pretty good results. Happy gardening! Book Review and Giveaway – Shawna Coronado’s Grow a Living Wall! According to the book’s subtitle, Shawna Coronado’s Grow a Living Wall focuses on “vertical gardens with purpose” – and, boy, does it ever, with imaginative style and flair. Featuring twenty themed designs, including walls for bees and other pollinators, veggies and herbs, and aromatherapy, I was instantly taken with the sumptuous photography and the creativity of the ideas. There is a vertical garden here for every size and space: fabric pocket gardens, mini gardens for instant curb appeal, and moss and fern arrangements for shady spots. There are gardens made from old pallets and sparkling glass mason jars – and my personal favourite, a repurposed bookcase mounted on a fence (I do work at a library, after all!). 🙂 You’ll find a therapeutic herb garden, a mixologist’s dream garden, one with houseplants for the indoor office, and several plans ideal for the patio or deck or a glamourous outdoor room. Coronado does a fantastic job of offering clear, easy to follow, step-by-step building instructions, recipes for plant selection and complete care and maintenance tips. If you have a small space or just want to grow “up,” you’ll love the designs and ideas in Grow a Living Wall. (The publisher generously provided copies of Grow a Living Wall for me to review, but I was not compensated for my opinion). 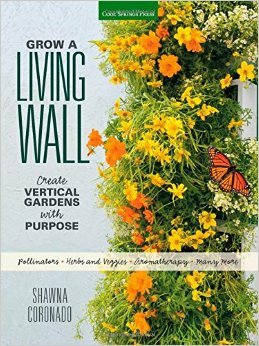 I have one extra copy of Shawna Coronado’s Grow a Living Wall to give away! 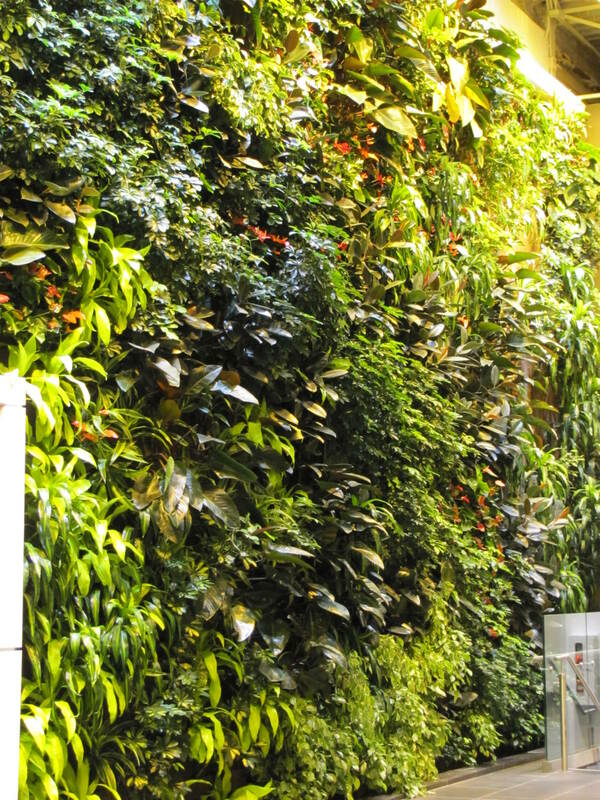 If you’re interested, please leave me a comment below – you can tell me what type of living wall you’d like to create (or have created!) 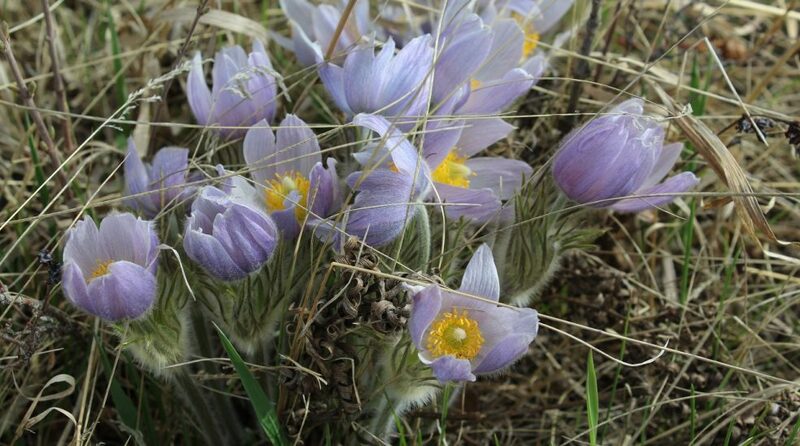 in your garden, or just drop me a “count me in,” or “yes,” for your chance to win. Contest closes at midnight, MST, on Friday, May 15, 2015. (And yes, it is open to everyone!). I will announce the winner on Monday, May 18, 2015.